The battle for the best smartphone voice control solution has been underway for some time. Apple has Siri, Microsoft has Cortana, and Amazon has Alexa. The most advanced competition to the iPhone’s digital deputy is that of Google’s new Assistant. How well do they understand voice commands? Assistant is the latest refinement of Google virtual Assistant technology. It’s like Siri you can use it to launch apps, send messages, search the web, and answer questions. It was only available on Pixel range of smartphones and selected flagship Android handsets. But later Google announced that the app is now available on iPhone and giving direct competition to Siri. It first made the debut in iOS 5 which was launched in 2011. After that Apple has added features to its voice interface, without things moving forward in a spectacular fashion. Holding down the Home button will launch Siri or you can visit Settings > Siri and turn on the ‘Allow Hey Siri’ feature so that the app launches whenever you say those words. 1) Calling, Testing, and Emailing to one of your contacts. 2) Launching a Specific App. 3) Beginning a Face time video call. 4) Creating a calendar entry. 9) Controlling anything connected to your Apple Home App. Siri mostly works with the Apps created by Apple. But for iOS 10 Siri will also work with third party apps too. It’s mainly restricted to messaging, photo search, and fitness but it’s a start. Siri seems very much bound to Apple’s own applications. Google Assistant does many of the same things which Siri does. In fact, its capabilities seem far more advanced to the contextual understanding of language. At Google I/O it was also given the impressive ability to read text within images caught by the camera – from signs to menus – and then translate those words into calendar entries, notes, or other useful items. Using the platform on iOS is a far more neutered affair, at least at the moment. Due to the restrictions, Apple places on access third party apps have to the system, Google Assistant can’t automate much on an iPhone. The problem is that many of these advanced features are only available on an Android smartphone. It’s actually quite hard to measure accuracy when everyone’s voice is different. 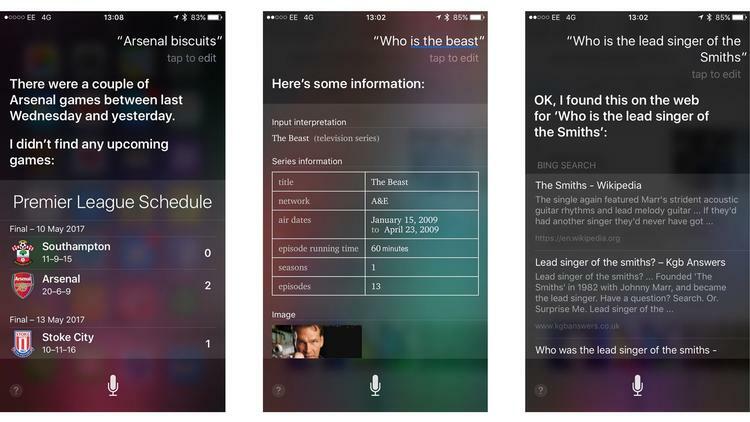 Here are some examples which were asked to Siri and Google Assistant to check their voice commands accuracy. ** You cannot launch Google Assistant as you can launch Siri by saying “Hey Siri”. You can add a widget to google so that assistant is always one swipe away. ** You can use Siri to launch apps or do things like silence your phone — things you can’t do with Google Assistant. ** Google Assistant also lets you type in queries, so you don’t have to speak out in public if you don’t want to, and you can make sure every query is dead-accurate. Siri doesn’t have that option yet. On Android, Google Assistant is a very powerful and impressive technology that arguably has more depth and complexity than Siri. But that’s not true on iOS. If you’re using an iPhone then Siri is a far more capable solution, mainly due to the access it’s granted to the higher levels of the operating system. It might have problems hearing you sometimes, or quite a lot of the time, but it’s the only game in town if you actually want to get things done. 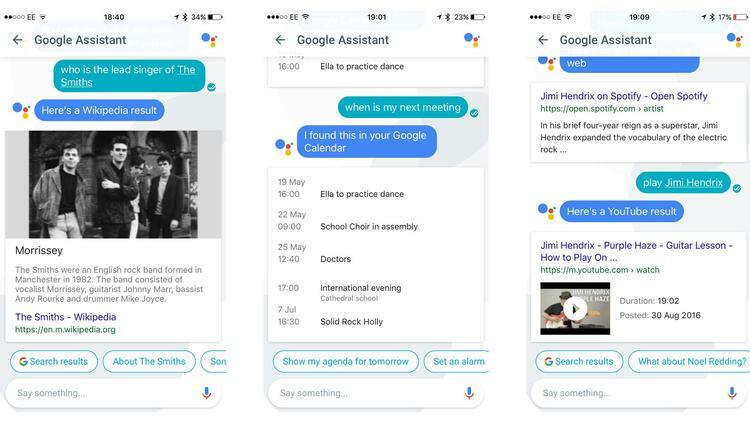 TaggedGoogle VoiceHow Google Assistant WorksHow SIRI worksSiri in GoogleSiri Vs GoogleWhat is Google Assistant?What is SIRIWho is the best Siri or Google Assistant? Previous Article How to get iMessages from iPhone to Mac?